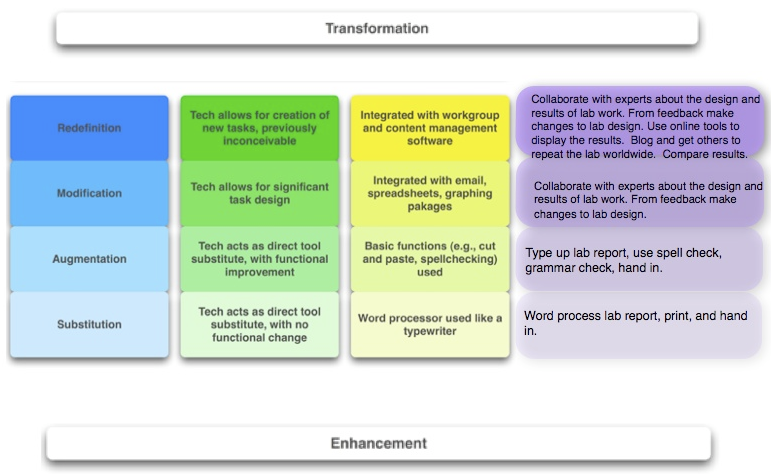 The SAMR model helps teachers and educators understand and better integrate technology into their teaching and learning. This model was created by Dr Robin Puentudura with the explicit aim of helping teachers in designing, developing and integrating digital media to increase students overall academic achievements. 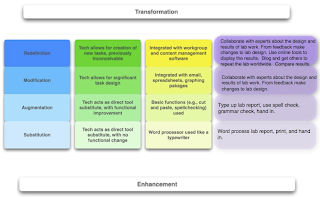 The four levels of this model are : Substitution, augmentation, modification and redefinition. Have a look at the image below to learn more about these four levels. The image is taken from Summer Tech Institute. 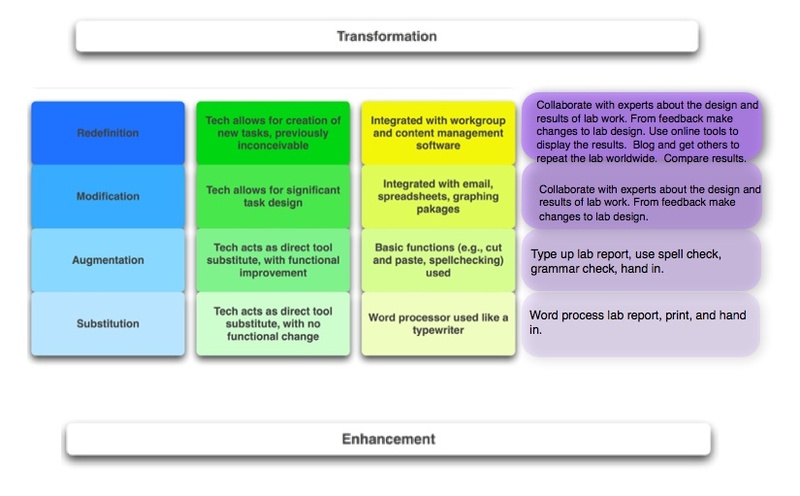 If you want to go deeper into SAMR , I would recommend this PDF from Dr Ruben himself. 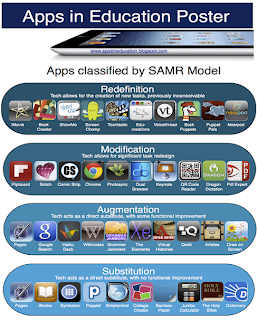 Let us now share with you a great poster created by Swanson in which he features a myriad of iPad apps according to the four levels of SAMR.